Verification of commercial, automotive, truck, off-highway and agricultural evaporator performance and efficiencies. Commercial Evaporator Test to ANSI/ASHRAE Standard 23.1, 23.2 & ISO 917:1989 specifications. Variable testing conditions to simulate “real world” testing conditions. Calorimeters can be designed to perform within the prescribed operating ranges of R-134A, R1234yf, R-404A, R-410A, R-744A and R-22. 10:1 turndown on all control variables. 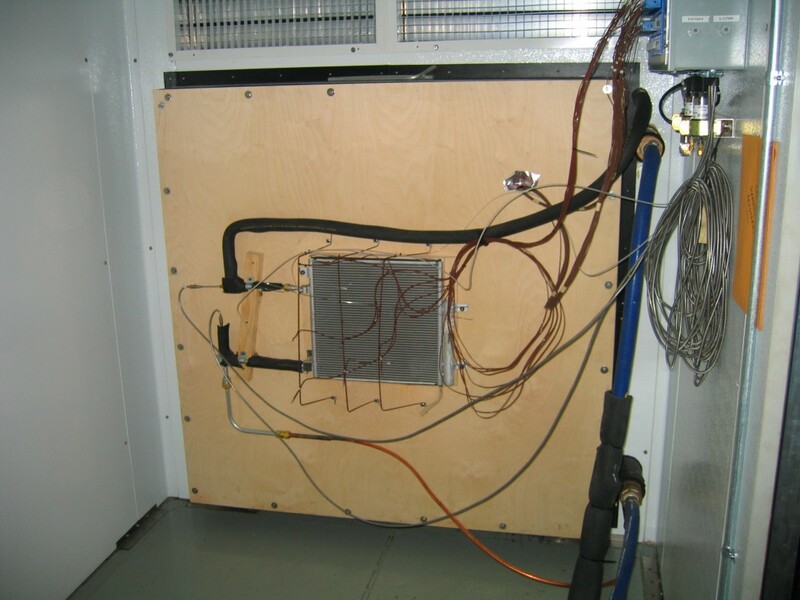 Closed loop airflow control for maximizing airflow temperature and humidity control range across UUT. Use as a stand alone system or integrate with other supporting modules including heater core and blower assembly (automotive applications). Options available for determining “oil in circulation” values.